TILLOU FINE ART is an exhibition, advising and curatorial enterprise representing emerging, mid-career and established artists. The gallery, owned and directed by Michelle Tillou, presents solo and group exhibitions of contemporary art across all media, and places works with private collections and public museums worldwide. The gallery has participated in international art fairs - (including Art Basel, ARCO Madrid, Art Chicago, The Armory Show, Pulse NY and Miami, Art Hamptons, Outsider Art Fair, and Volta as well as fairs in Los Angeles, Santa Fe and Guadalajara, Mexico); and has organized various special projects and independent exhibitions throughout New York City - in Chelsea, the East Village, Lower East Side, Midtown, the Upper East Side, Brooklyn and East Hampton. 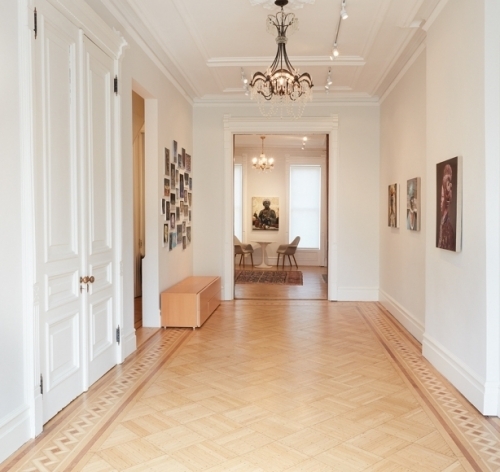 Lance Kinz initiated the gallery program in 1989 in partnership with the Richard L. Feigen & Co. First located in Chicago, the Gallery moved to New York in 1997 establishing FEIGEN CONTEMPORARY, and was one of the earliest and largest galleries in Chelsea. In 2006 Michelle Tillou became a partner in the Chelsea gallery, and in 2014 KINZ + TILLOU FINE ART relocated to a viewing and exhibition salon, on two floors of a brownstone in Clinton Hill, Brooklyn. In 2016 the gallery re-launched as TILLOU FINE ART and continues to be informed by Lance Kinz’s legacy as we advocate for artists and collectors. Throughout the gallery’s history, works by hundreds of artists have been exhibited, and noteworthy solo exhibitions by Robert Rauschenberg, James Rosenquist, Ray Johnson, Robert Wilson, Elizabeth Murray, Andres Serrano, Catherine Opie, Thomas Nozkowski and many other acclaimed artists have been presented. The gallery was also amongst the earliest to present artists such as John Coplans, Inigo Manglano Ovalle, Gregory Crewdson, Tony Tasset, Jeremy Blake, Brian Dettmer and Kim Keever amongst others.